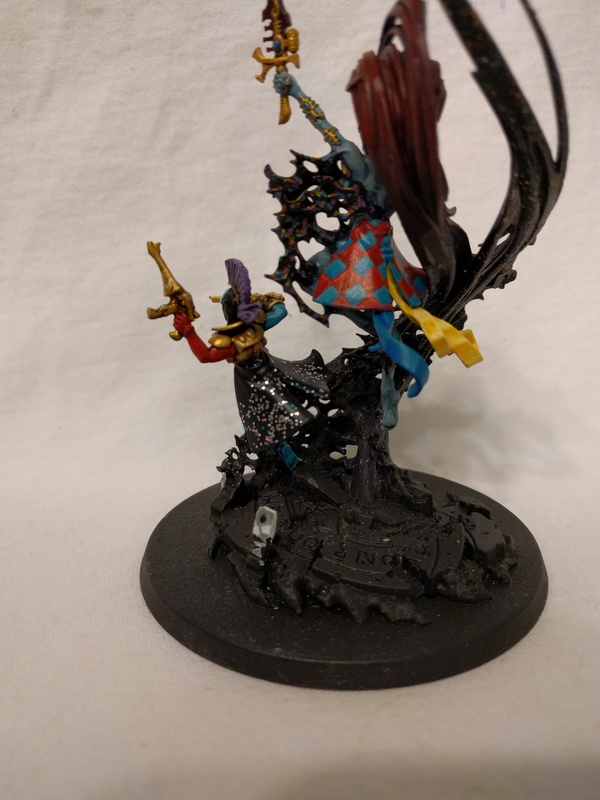 so i LOVE the Cegorach lore, after reading as much as i could find on the internet, i wanted to play with it somewhat, so i'm turning my Yncarne into Cegorach puppets (he has puppet pinata's that go to war time to time and explode with glitter). After large amounts of trial and error, i have learn you can not fake Glitter, lol. So i did real glitter. The image looks real nice, though I shall express concern that the TM's coat tails look a bit short on the taller model. I can look at making it longer. I tried the dots many times, it just doesnt look right. The problem was you dont get that Color > shiny > silver > color effect with paint.